While I recognize that Black Friday remains a vital part of the American capitalist Christmas shopping experience, it’s my duty as your friend to share what I’ve learned about those discounted big-screen TVs, electronic gadgets and $8 Crock-Pots featured in early bird sale fliers. None of that junk lasts forever. So before you break the bank on a present that needs an extended warranty, let me suggest a lasting gift-giving alternative: Put some local art under the tree. Over the years, I’ve been lucky enough to meet very talented Chicago artists who for one reason or another fly under the radar all over town. Some of them find time to practice their craft despite working boring day jobs. They illustrate graphic stories and handcraft elaborate etchings, collages and prints. One guy creates giant murals, and a woman I know draws the prettiest fanciful creatures. No matter their specialty — whether they’re painting realistic portraits, turning found objects like a crow’s skull into beautifully intricate figurines or drawing ridiculous stick-figure cats — they all have one thing in common: Their artwork is for sale. The Serbian immigrant doesn’t have a website, and you won’t find his work in a fancy gallery. 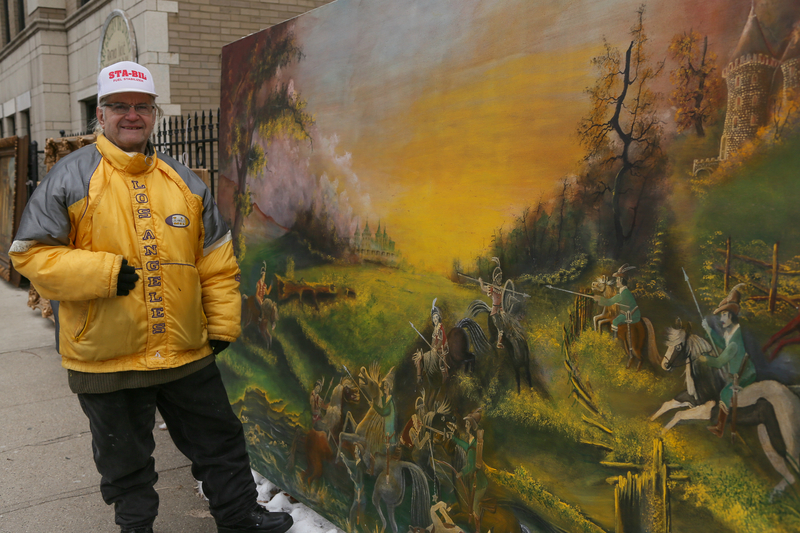 But if you’re in the market for paintings of pastoral scenes, landscapes and still-life flowers, you can find Ikic’s work tied to the wrought-iron fence fronting his apartment building on Ashland Avenue just north of Irving Park Road in Lakeview. 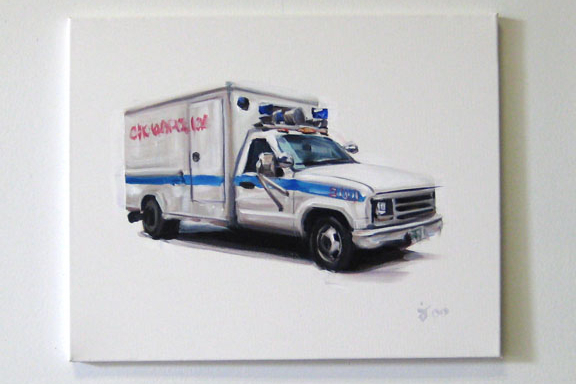 Ikic puts his art on display for drive-by shoppers regardless of the day's temperature. 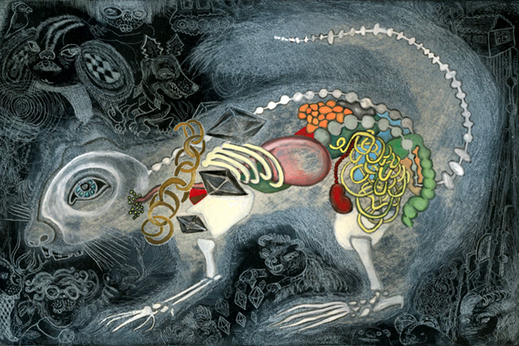 The Edgewater artist’s fanciful drawings, creature etchings and mixed media works of art are the surreal expression of real life after being filtered through her imagination. Murphy, a freelance video editor and graphic designer, works out of a Ravenswood studio unofficially called “Kofi Studios” after the tagger who keeps writing “Kofi” on the front window. You can find prints of her work — along with T-shirts, magnets and collages — at her online store. The talented newspaper graphic designer draws beautiful illustrations and comics. 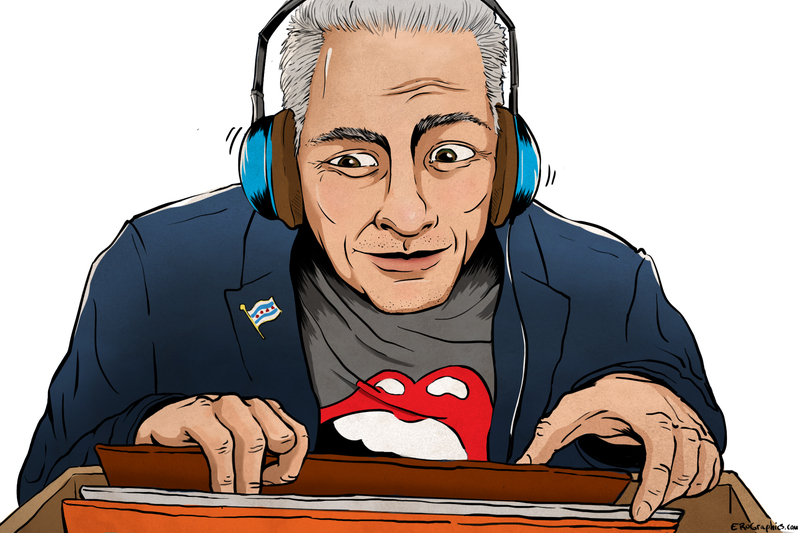 The artistic half of The Illustrated Press, a comic journalism publisher, Rodriguez has even done a couple of illustrations for the "My Chicago" column. You can find his artwork for sale here. Steve Gadlin is more of a comedian and producer than a traditional artist. Still, Gadlin turned his limited drawing ability into a legitimate business on ABC's "Shark Tank" when he did a silly dance to an even sillier jingle that helped persuade billionaire Mark Cuban to invest money in a custom cat-drawing business. 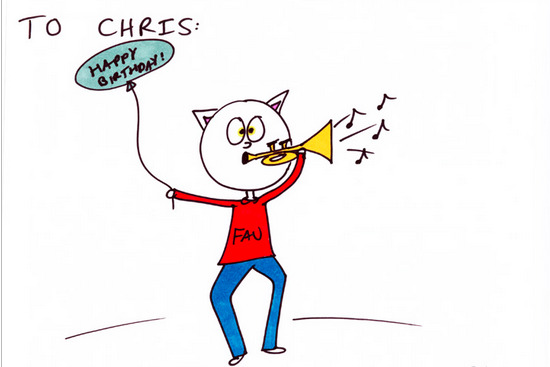 You can order up your own stick-figure cat drawing for your pals at IWantToDrawACatForYou.com. Mr. and Mrs. Joslin have a flare for the intricate and precise. 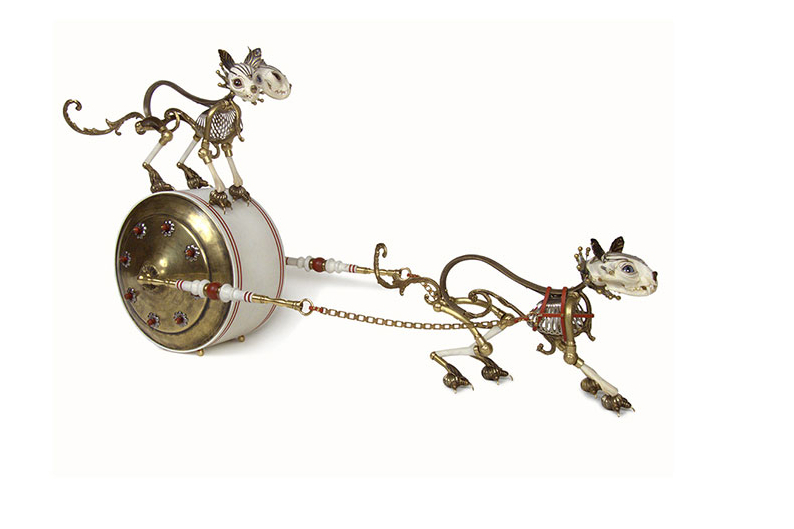 For more than 20 years, Jessica Joslin has fused bone and brass and found treasures to create more than 200 strangely beautiful sculptures. Prints of her work — and even a Belgian chocolate replica of one of her sculptures — are available at her online shop. 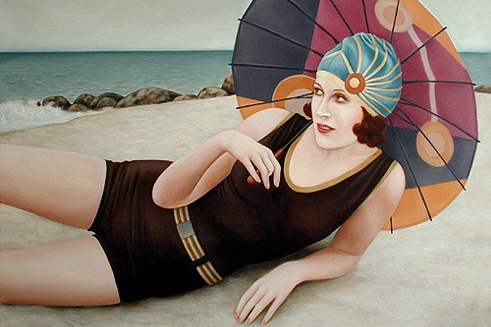 Jessica describes her husband, Jared Joslin, as a painter of “dames and dreams.” Many of his realistic paintings and drawings capture the theatrical allure of the Roaring '20s. He's done portraits of Chicago actor Michael Shannon, a series of intriguing self-portraits and even some wood carvings that are featured here. Muralist Jeff Zimmerman might be best known for his popart “murals with meaning” that decorate buildings along Ashland Avenue in Pilsen. But the painter also has a collection of works on paper and canvas. His work often captures the essence of a place, person or thing. Sometimes, as evidenced in a mural that once hung in an Apparel Center hallway, his subject is a dock worker, electrician or a Chicago police squadrol. Anthony Steele started taking classes at South Chicago Art Center when he was just a kid. Now, Steele teaches classes and organizes public art installations for the growing art center. He's a talented painter and sculptor who really shines in mixed media work. 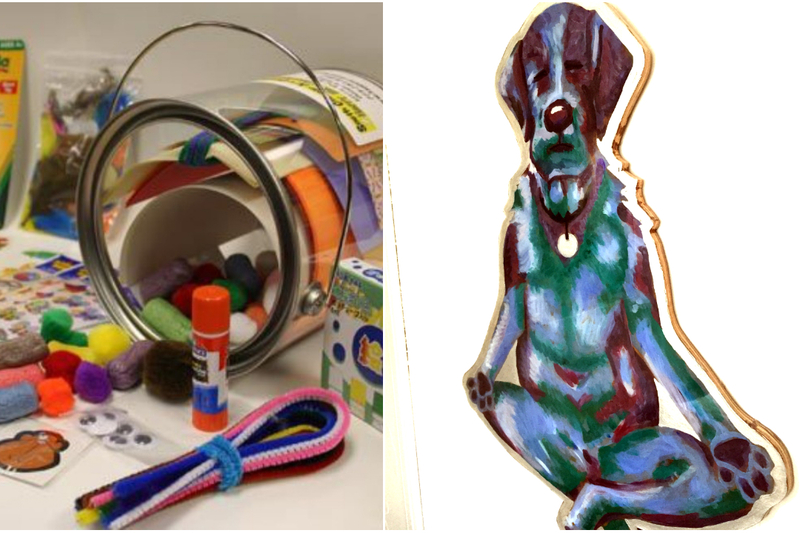 Two years ago, I was lucky enough to score his acrylic painting "Yoga Dog" that hangs on my office wall at home. You can buy Steele's work and art made by his students at the art center's open house on Saturday from 1 to 3 p.m at 3217 E. 91st St.
To see more of Steele's artwork, greeting cards made by students or purchase an art kit for your favorite artistic kid click here. Earlier this year, I wrote about Tony Fitzpatrick’s band of young artists working with under his tutelage at Adventureland Gallery in Wicker Park. Well, their work will be up for sale at the Black Shamrock Christmas party on Dec. 13 from 1-6 p.m. In addition to Fitzpatrick's drawings, the work of Zoe Xanos, Will Stugis, Kelly Houlihan, Askon Haidari, Jason Barrer and Jesse Sioux Archramowicz will be featured ... and for sale.